The most powerful woman in Singapore is not…Roy Ngerng. 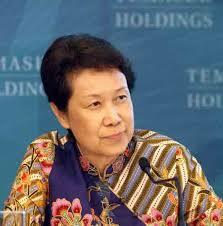 It is Ho Ching, the head of Temasek Holdings who is at number 43 in Forbe’s magazine most powerful women of 2015. German chancellor Angela Merkel is top followed by Hilary Clinton. Forbes selects 100 most influential women from eight categories or power bases: billionaires, business, celebrity, finance, media, philanthropy and intergovernmental organizations, politics and technology. To determine the rank within each category, as well as overall rank on the list of 100, they apply four metrics: money, media presence, spheres of influence and impact. Although Forbes does not reveal the individual scores against the metrics, we can only speculate as to why Ho Ching is at a mere number 43. Either she is not paid well, or she has bad fashion sense of maybe both. Whatever it is, she is below Beyonce who is at number 21. She just has to work harder then.